When Mormons proudly call themselves "a peculiar people," they mean it in the biblical sense — set aside by God, chosen.But many Americans call them peculiar in Webster's way — strange, odd. 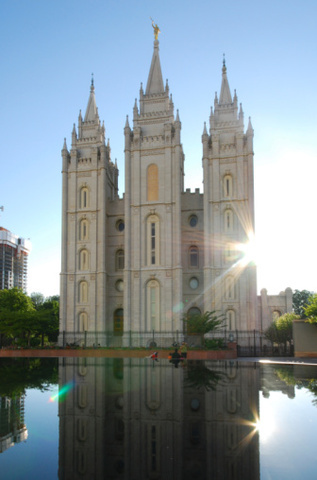 Now Mormons, followers of the Church of Jesus Christ of Latter-day Saints, are in a spotlight even more glaring than when the 2002 Olympics were held in their Salt Lake City stronghold. One of their own, Mitt Romney, is contending hard for the Republican nomination for the November presidential election. Suddenly, America's abuzz about "gold plates and magic underwear," says Terryl Givens, a professor of religion at the University of Richmond in Virginia and a Mormon himself. What They're Saying About "Us" Other Faiths Politics Mitt Romney Mormon MomentOther Faiths,Politics,Mitt Romney,Mormon Moment,What They're Saying About "Us"